"It seems sterling is now a barometer of Theresa May's ability to hold on to her job," said one analyst. The British pound plunged on Thursday and is set for its second biggest drop this year as opposition mounted at Prime Minister Theresa May's draft deal for leaving the European Union. Brexit Minister Dominic Raab and three other ministers resigned in protest against her plan, fueling a sell-off in the pound, which was already struggling to gain traction after May said on Wednesday she had won over her divided cabinet after a five-hour meeting. In chaotic trading, the pound plunged 1.7 percent to $1.2751, its second biggest drop after a 1.73 percent fall in September. "It seems sterling is now a barometer of the PM's ability to hold on to her job," said James Hughes, chief market analyst at Axi Trader. 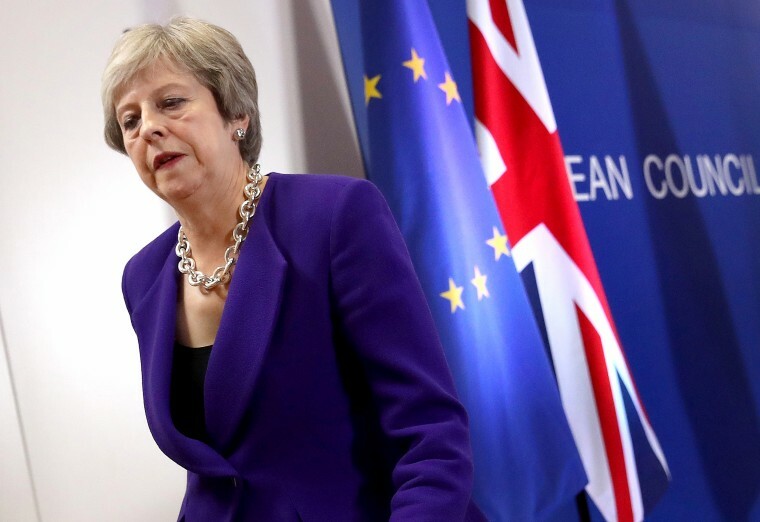 It trimmed some of its losses after May said she will negotiate intensively with the European Council to turn the draft deal into a full future framework. "What concerns us is how many ministers seeing this news will be pondering if it is better to get their resignations in now rather than wait," Jordan Rochester and Andy Chaytor at Nomura said in a client note. "If several ministers go this becomes more difficult for Theresa May to hold her position." While markets had priced in some opposition to the draft deal negotiated by May, the latest round of resignations has unleashed a fresh wave of volatility in UK assets, sending investors to the relative safety of government debt and buying currency options. May's position as leader of the Conservative Party and thus her premiership are under threat, which could lead to a leadership challenge. "All eyes are now on Theresa May with a challenge to her leadership increasingly being viewed as the next catalyst for another sterling collapse," said Jeremy Thomson-Cook, chief economist at WorldFirst.